Thames & Hudson, 9780500288979, 208pp. The illustrations reveal the wide range of fashions and styles from the 1940s in North America, Europe, Australasia, and Japan. 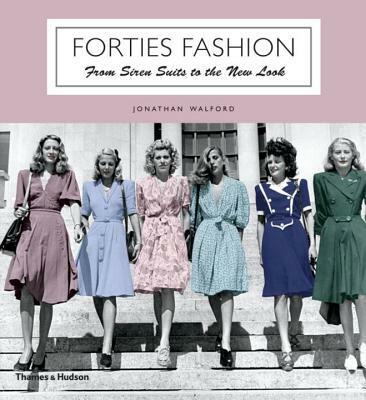 The lively text by fashion specialist Jonathan Walford details how fashion was considered not a frivolity but an aesthetic expression of circumstances in the 1940s. While Fascist states tried to create "national" styles before the war began, by 1940 the pursuit of beauty was promoted on both sides of the conflict as a patriotic duty. From prewar to postwar, we see attitudes emerge from period advertisements, images of real clothes, and firsthand accounts in contemporary publications. The result is a celebration of everything from practical and smart-looking attire for air raids (hooded capes with large pockets and siren suits) to street fashion and the creation of Christian Dior's "New Look" collection in 1947.